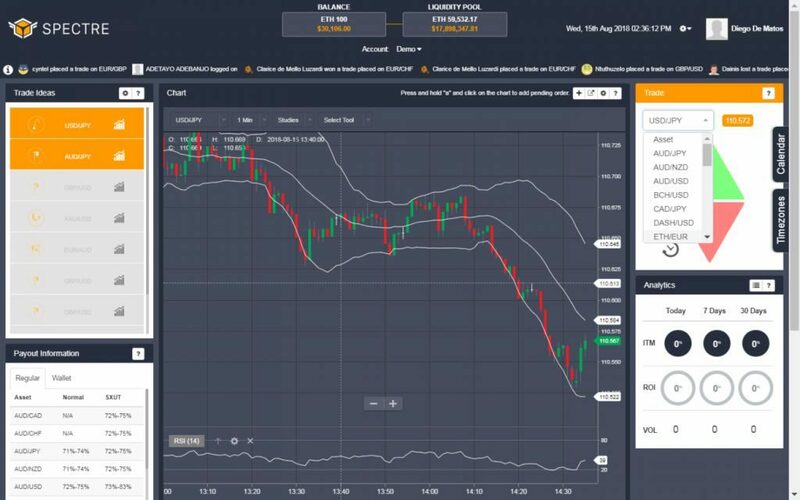 Spectre.ai is a new trading platform that requires cryptocurrency to trade with. It has come a time where we must face the fact that cryptocurrencies are here to stay. Such a realization has brought many people to consider investing in them as a serious career choice; this is being done on a much bigger scale than previously. Luckily, such popularisation has brought many methods to invest; this brings us to the Hodly wallet. Now, since we’re starting from scratch, it is worthwhile to spend some time learning the very basics. 1. How Do Cryptocurrencies and Trading Them Work? Quick and easy, cryptocurrencies “exist” in a blockchain, a distributed digital ledger which keeps the logs for all the transactions ever made with them. That brings many advantages by itself, including security, privacy, and efficiency. In short, a crypto coin functions because of the blockchain it is tied to. However, this also means that operating with cryptocurrencies is somewhat different from regular currencies. While it is the same in essence since all the processes are very similar to transferring money as we know it, you need a special way to access them. That brings us to the crypto wallet. A crypto wallet, such as Mycelium, Electrum, or Hodly (with which we will be working in this opportunity) is exactly what it sounds like. It is an electronic address where coins are stored, with an interface for you to interact with them. 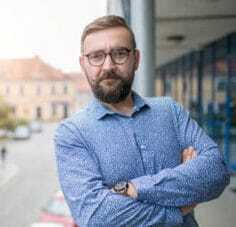 They are special programmes that are linked directly to the blockchain of a crypto coin. That is what lets them get in touch with the coins and move them. A wallet is your first step towards trading. Once you have one, trading cryptocurrencies is actually quite simple. It is just registering your wallet at an exchange, moving your capital to it, and start selling and buying. That is, of course, in theory. There is a lot of knowledge and trading education to be had before you can make it your sole career. 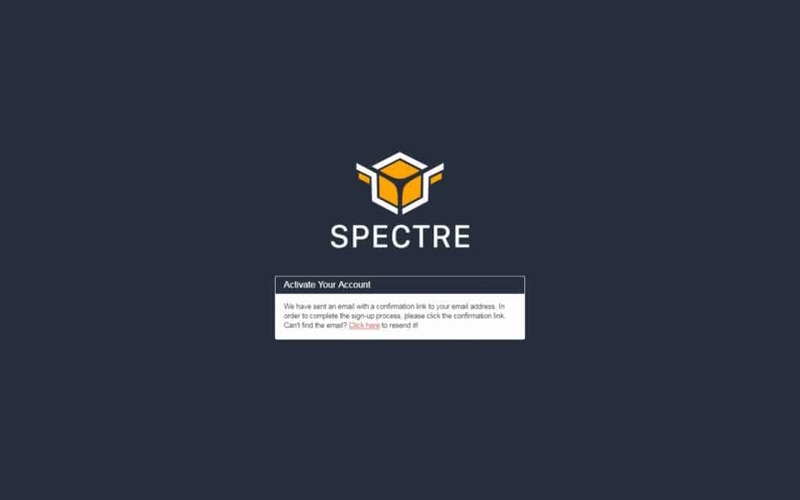 Now, we can move onto the main topic of this article: Trading with Spectre.ai using the Hodly wallet. First, we will need to have our wallet ready. 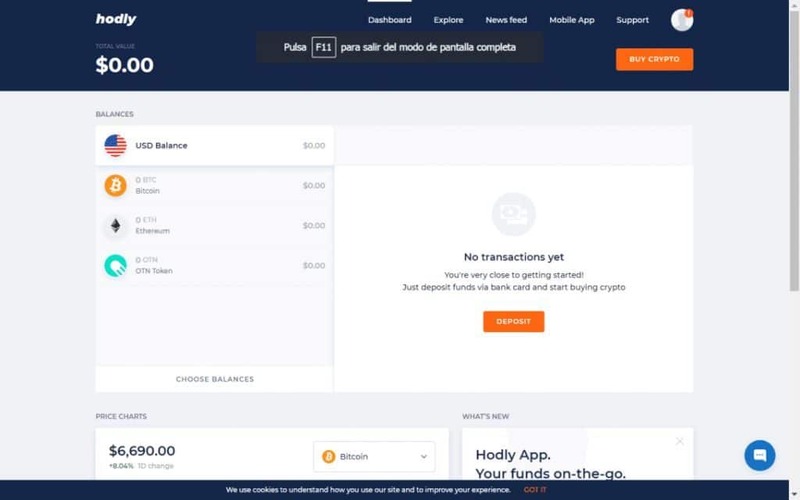 As we already stated, Hodly is a crypto wallet. 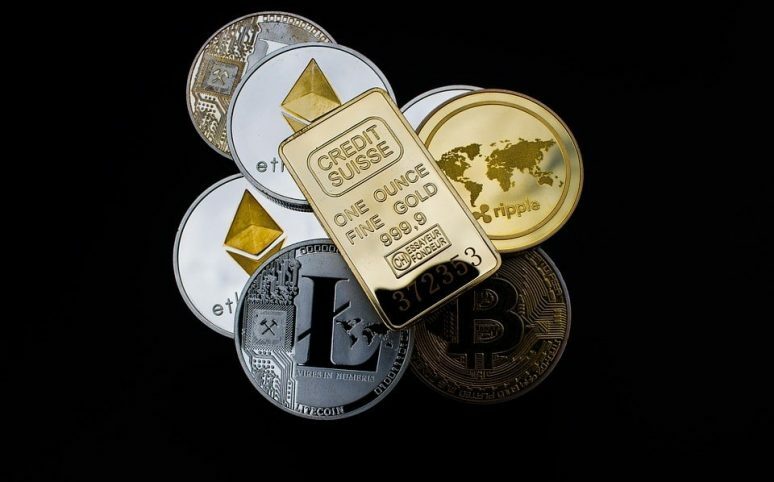 It is a great option to start trading cryptocurrencies thanks to all the options it provides in terms of choices in coins. The best part about this wallet is that it lets you trade directly on its interface. However, most importantly, the wallet gives you an Ethereum address. The Spectre.ai platform was launched over the Ethereum platform. As such, it is linked to its blockchain, and a Ethereum-compatible wallet—like Hodly—is needed. Click on the “Sign Up” option on the top right corner. The screen is very simply, just enter your e-mail address and a password for your wallet. Read and accept the terms and conditions. Head over to your e-mail address and confirm the account (even though it does not really tell you to do so). As soon as you are done with that, you will be taken directly to your wallet. 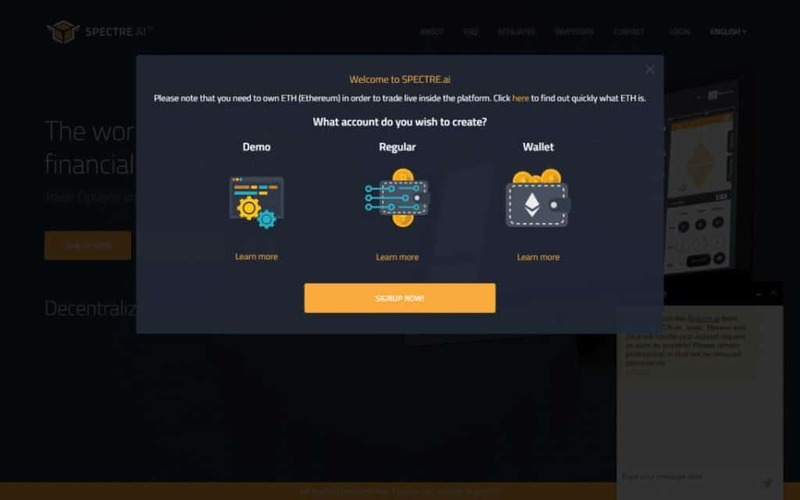 Since we need the ETH wallet for Spectre, let’s click the ETH option, and then “Receive Ethereum”. Note the following screen and copy the address shown below. Whenever you need to receive ETH, this is what you will use. Now, we have everything we need to move forward. 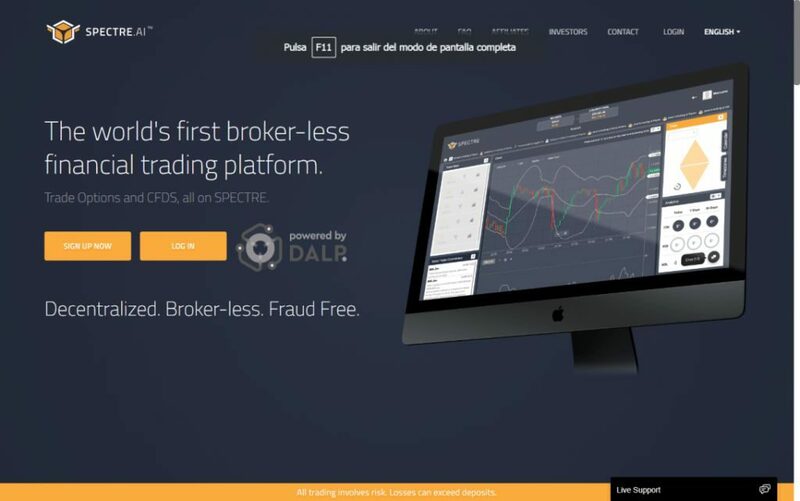 Spectre.ai is a financial platform for investors who wish to skip the need for a broker to invest in financial markets. You see, trading on the internet requires making use of an intermediary who gives you the platform necessary to place orders. Said orders are then carried out by the broker, who trades for you. 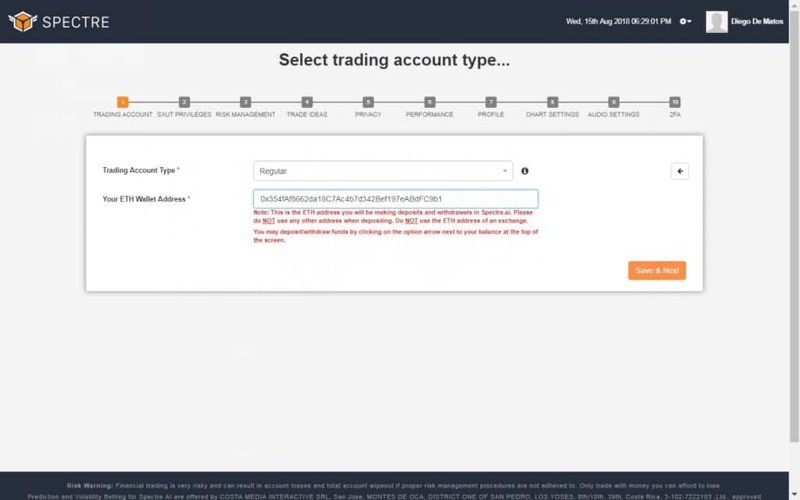 Whereas brokers will often have their own funds and let you trade with them, Spectre will give you direct access to their pool. You will not need anyone between you and your trades, not even when you trade with others. You can visit my Spectre.ai review post for more. Similar to Hodly (and most services today), you will arrive at this screen when you visit their homepage. Proceed to click “Sign Up Now”. You will be met with a pop-up window telling you to choose an account type. 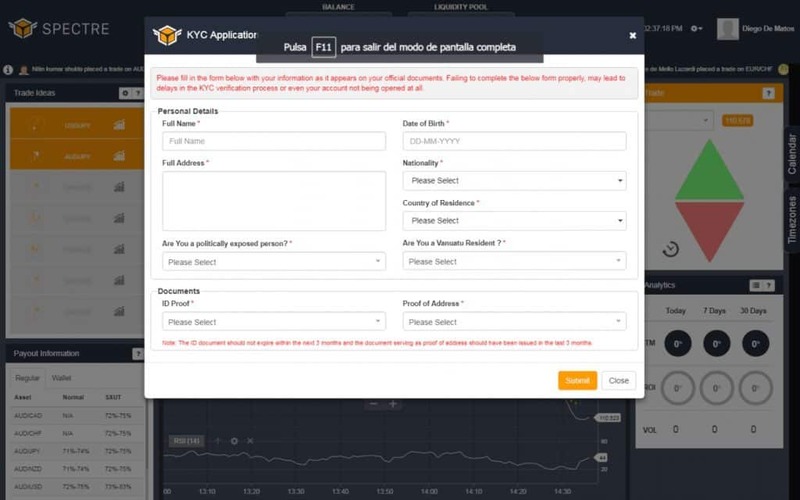 In here, you will also see that ETH is required. 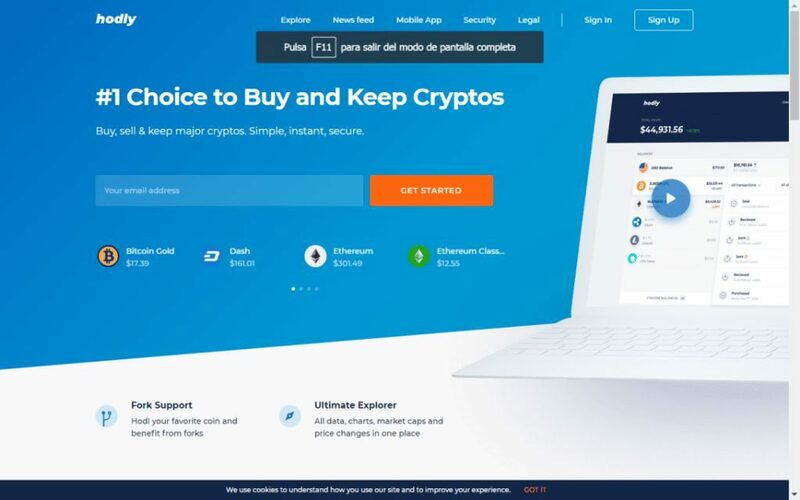 We’ll choose the Regular account for this guide. The page will take you to fill out the registration requirements. As always, make sure to read the terms and conditions. Afterwards, make sure to follow regular customs and head over to your e-mail and activate your account. Once you click the link sent to you on the e-mail, you will be able to log into your account. Just type in the details you already registered. You will be taken to an explanation of what Spectre is and the option to take the tutorial. We highly recommend you do so. 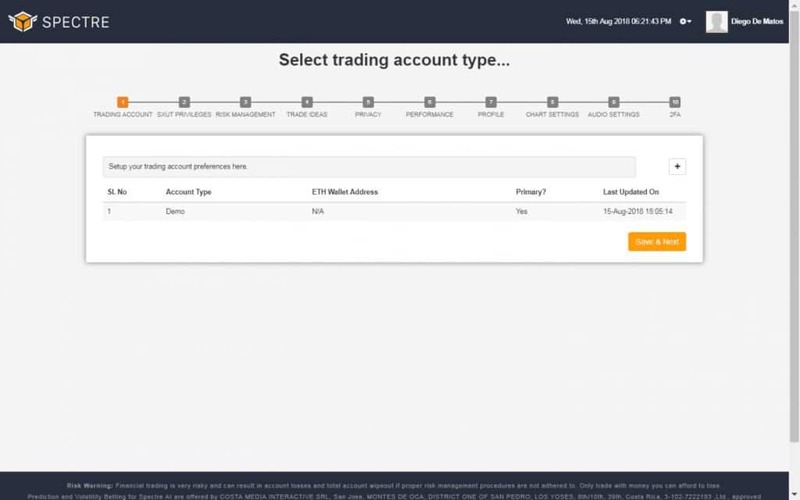 As we are focusing on trading, we will select the Regular account by clicking the “+” sign to the right. 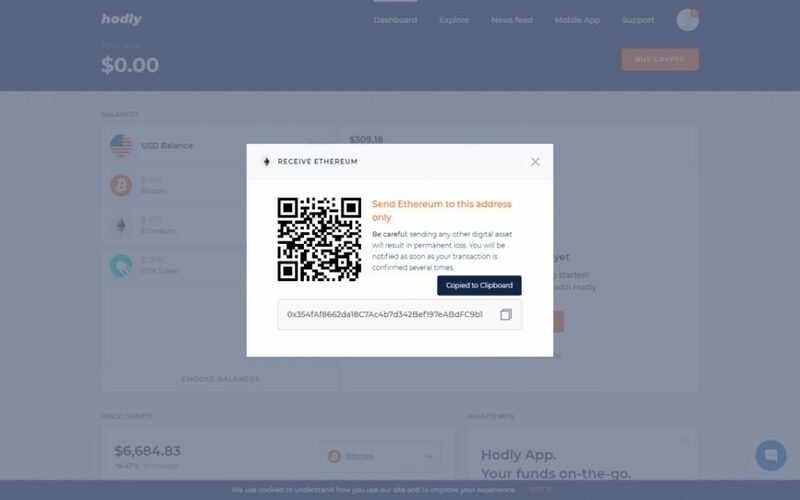 Fill the ETH wallet address with the one given to you by Hodly. The rest of the options will let you customise your account, from your trading style to your profile. After you are done, you are good to start trading. You will be met with the following screen showing charts and useful data to start trading. If you wish to see the different assets you can trade, you can click the “USD/JPY” option and a list will drop.